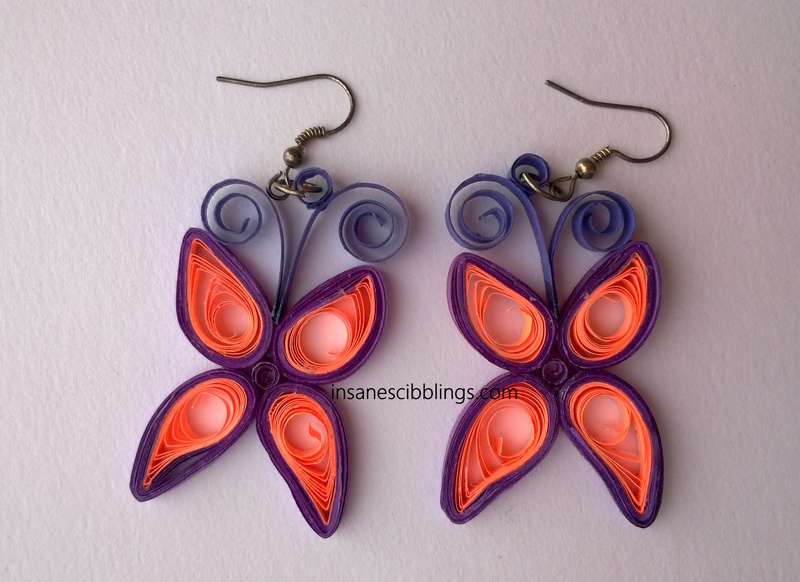 I am back with another Paper quilled earrings. This is no hi-fi and one can do it in ten minutes flat, including glue and stuff. 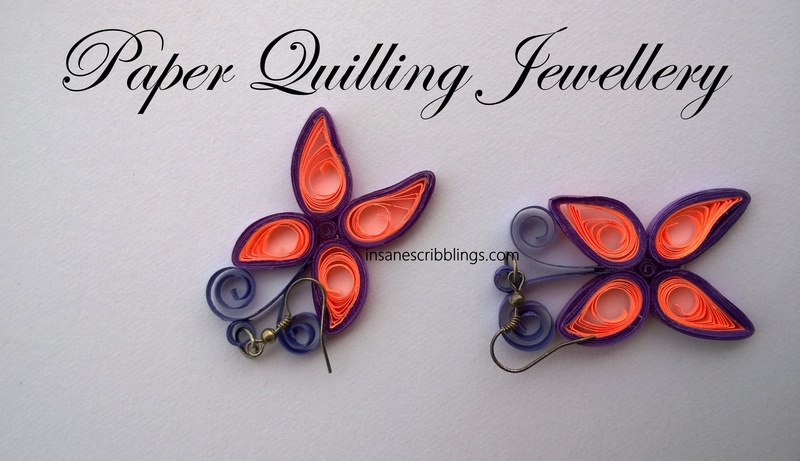 I have made a quilled Butterfly earrings before. Check it HERE. I like how they turned out. These may not be perfect but I love ’em. 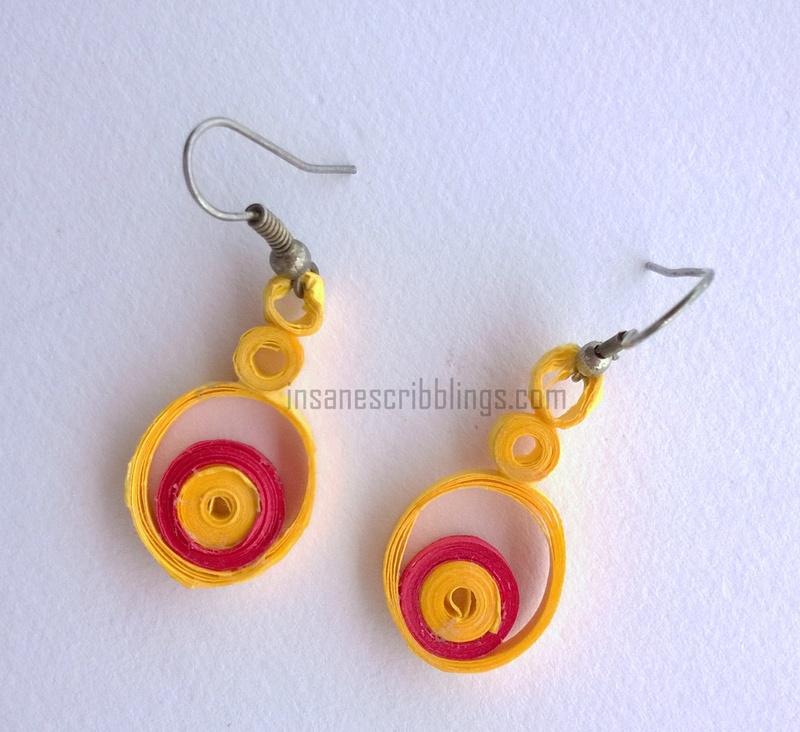 I love bright things, be it clothes or jewellery or just anything. 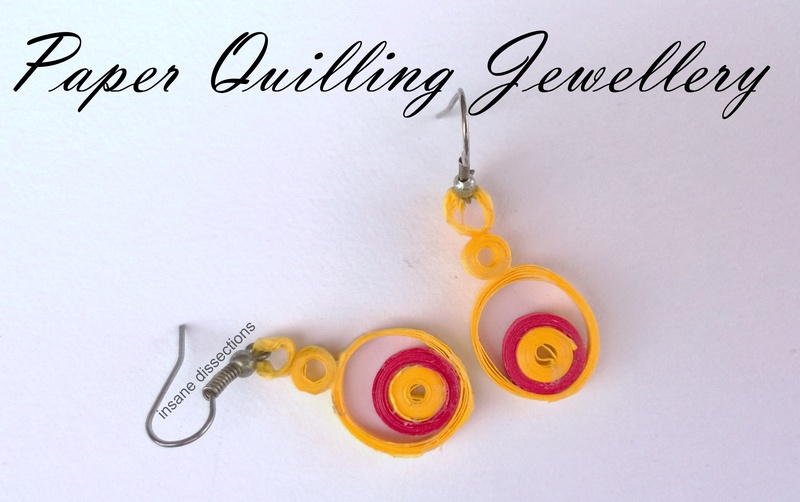 That is why I chose to use bright colors to make these. 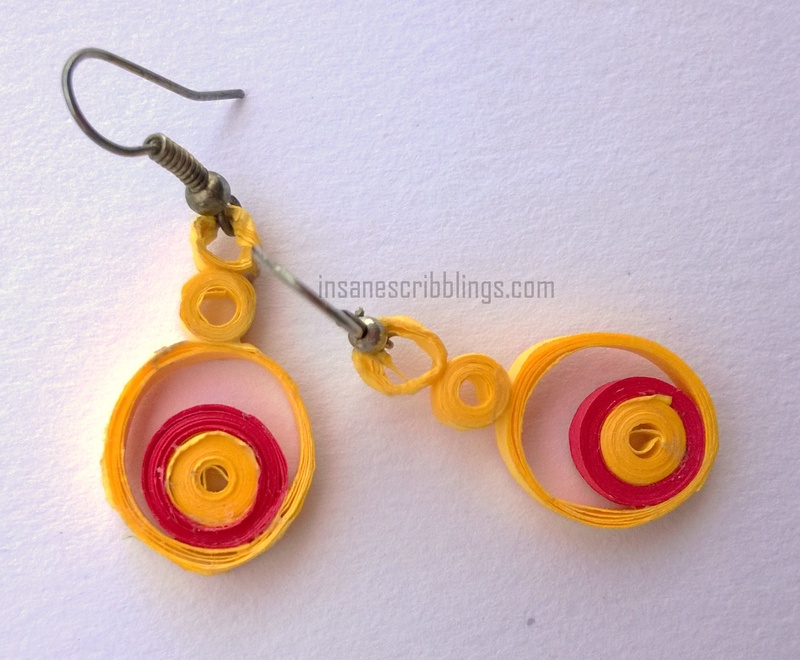 These will make a good statement piece if you are not wearing too many colors. 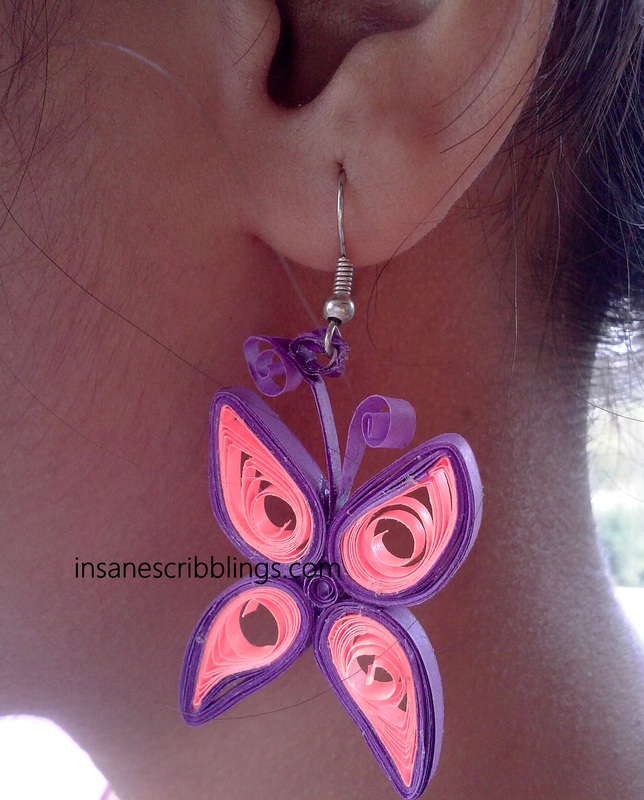 Plus butterflies are supposed to be bright and full of color, right? This is how it looks. Sorry for the bad lighting.